You found this website because you need your parking lot striped, right? ​ Congratulations! You're done searching! Call Jason at the number posted to get your free estimate. Bright, newly painted clean lines on your parking lot create a safe environment for your patrons. They appreciate your concern. Fresh, straight, clean lines on your parking lot will give a first impression that will make a potential customer select your place of business, as well as create an image that will invite the customer to return time and again. The customer places a high value on his initial perception of your business. You're still scrolling? There's nothing else to know -- you've found the right guys for the job! 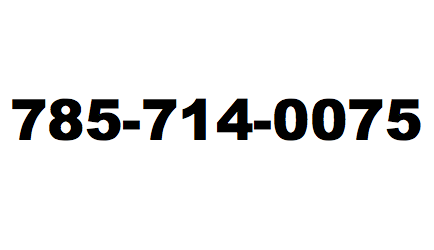 The first step is to call the number above and visit with Jason Trojcak. He's a professional business owner who is eager to give you a free estimate for any of your pavement marking needs!